SuperGen will be presented at the Aachen Colloquium Automobile and Engine Technology Conference Exhibition 2017 (9th – 11th of October) which is recognized as the largest automotive and engine technology congress in Europe . Visitors have the opportunity to experience a detailed presentation of SUPERGEN on the booth of Magna. 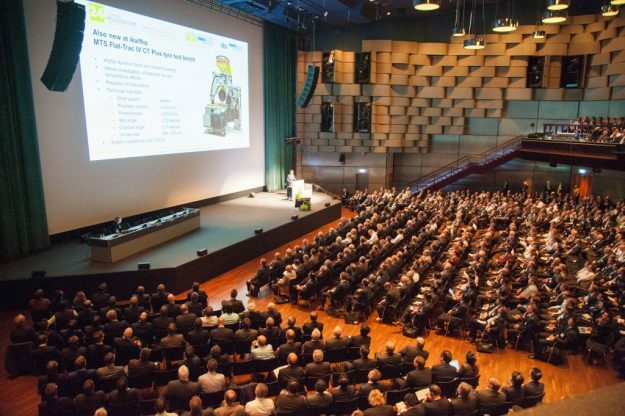 The Aachen Colloquium for Automobile and Engine Technology has developed to the largest and most important congress in the area Automobile and Engine Technology in Europe. It is a focal point in the calendar, bringing together technology and business leaders from all the major automotive companies. As a finger on the pulse of current developments and future trends it provides a snapshot of the innovation and technologies that will be entering the consumer marketplace in the next few years. IPTT is a joint venture company formed by Integral Powertrain Ltd and Magna International in September 2014, which combines Integral Powertrain’s unique technologies, engineering and development expertise with Magna’s experience in industrialization, global program management and world-class manufacturing footprint.